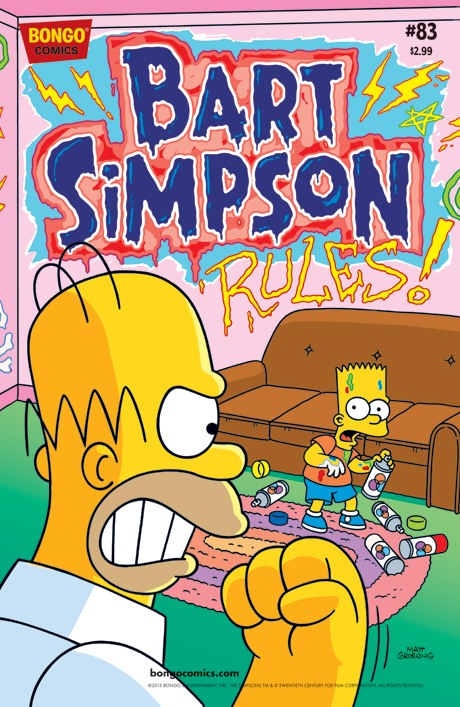 Bart Simpson #83 is the eighty-third issue of Bart Simpson Comics. It was released on May 22, 2013. "Principal Skinner resorts to desperate measures get Bart to turn in a book report. And in, literally, another literary tale, Bart and his pals head into the Springfield forest in search of what they believe to be a dead body while Homer gets his lard on while competing in a pie-eating contest."